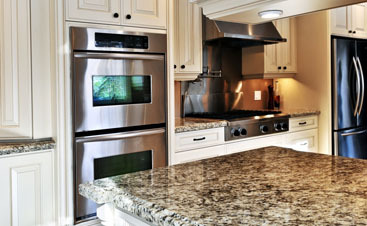 White cabinets are the most popular choice in cabinet design. 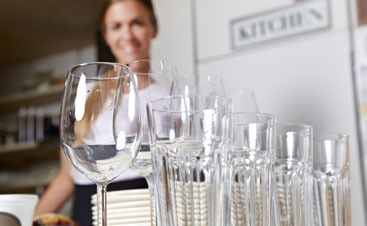 White portrays an air of cleanliness that makes people feel comfortable especially in a kitchen or bath. Using white cabinets in your design also keeps the space bright, which can make it appear inviting and oftentimes a larger than it is. Here, we share some of our favorite white cabinet tips. White cabinets, especially in kitchens, create a space that is fresh, bright, and spacious —the ideal space for preparing family meals. White is also a timeless look that can transition easily between changing decor, which makes white a smart choice for value. For small spaces, choosing white cabinets helps retain any natural light and create a bigger, more open feel. 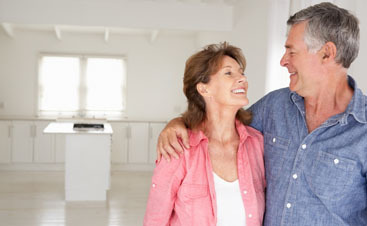 One of the great benefits of white cabinets is that the structures can stay the same —which is also great for resale— while you add in your personal touch with accent colors in the accessories, light fixtures, and furniture. When you choose white cabinets, it is a like a blank painter’s canvas. The options for decorating are limitless! 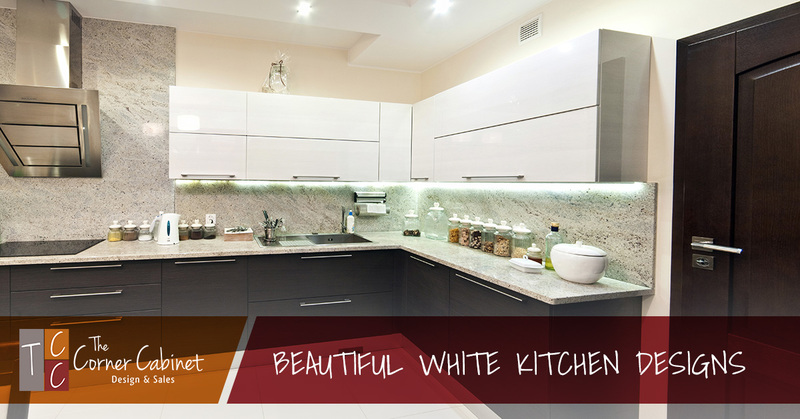 For a clean and edgy look, you can use several shades of white throughout the kitchen. Opt for a couple of well-placed glass cabinet doors, some beautiful hardware, and a durability, gorgeous white-based quartz countertop to the create a beautiful space. White or glass tile backsplash can create the reflective finish to add more texture and light to your room. Or you can opt to embellish your white kitchen by adding in some color. Create a modern farmhouse look with some colored tile backsplash, a colorful table runner, burlap lined galvanized baskets or cobalt blue dishes. Yellow accents can help create a rustic-chic look or a modern contemporary design aesthetic. You can add in color with fresh flowers, a counter bowl with fruit, lighting options, and seating —through the stool cushions at the island or your breakfast nook furniture. If you choose to do all white kitchen, including cabinetry and countertops, add color by painting the walls a soft hue of color. Layer your white kitchen with grey. For more of a luxe look, layer your white kitchen with some shades of grey. Whether you use soft grey tile for backsplash or you install a mix of white and grey cabinets, the grey will help to soften the white to a more comfortable tone. Stainless appliances and a large stainless sink will identify the room as updated, and a new light fixture will add the sophistication. When you layer whites and greys for your kitchen, you can still throw in a dash of accent color that will pop. Finally, remember to choose your cabinet knobs and pulls well. Hardware choice can elevate a design. Take your time choosing something that adds to the look you want to create. 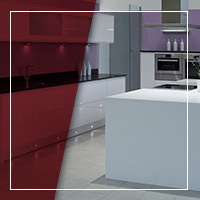 If you are interested in the idea of a beautiful white kitchen come check out The Corner Cabinet’s showroom. We have 3,000 square feet of kitchen design ideas that are sure to inspire you. Our designers are excited to hear all about your dream kitchen ideas and help them come to life! Stop by or call us today.